As I mentioned in my previous post, I signed up with Taste and Create this month, and I was paired with Laws of the Kitchen to commemorate Taste and Create's 3rd birthday. 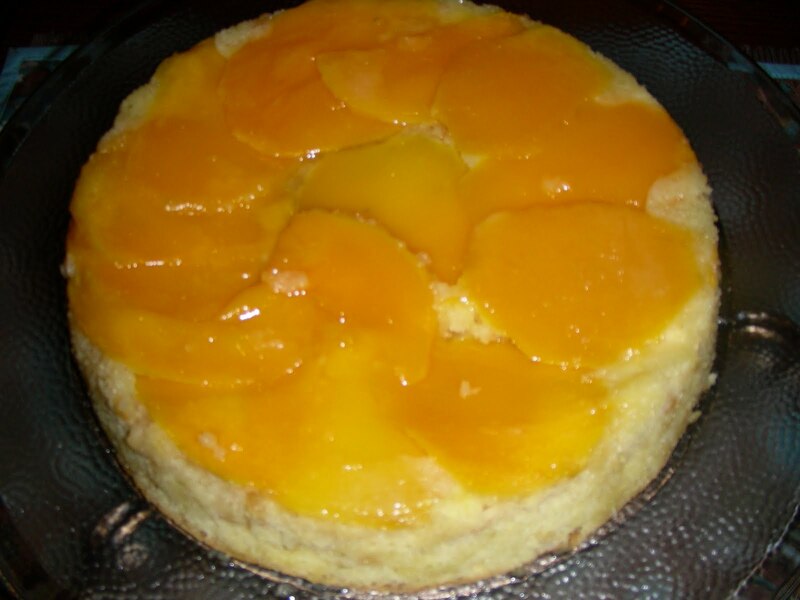 I made the Mango Lime Syrup Cake with my husband as my Sous Chef. We had so much fun! I chose this cake from Laws of the Kitchen, because my husband and I both love Mango and Lime and it looked scrumptious! As I've written before, we use a lot of limes every week. When, my husband was in the Navy and stationed in the Caribbean he came to love the tropical fruits and food, as well as Meyer's Rum. Laws of the Kitchen is an Aussie lawyer in Melbourne, so her recipe was a bit of a math exercise in metric and celcius conversions. I added my notes to the recipe.. Thank goodness for Google. The cake turned out so well, moist and dense with the zing of the lime, sweetness of the mango, and the crunch from the macadamias. . My Sous Chef sliced the mango into paper thin slices to arrange in a pattern on the bottom of the cake pan, probably the trickiest part of the whole recipe. The batter was poured over the sliced mangoes and baked. After the cake came out of the oven, you poked holes in the cake and poured the Lime syrup over the top. I was concerned about getting the cake out of the pan after the syrup had been poured over it and I didn't have any parchment paper, but it came out with no problem. We were holding our breath the whole time. I just sprayed the pan really well and dusted it with flour After the cake was out of the pan, you brushed the top of the mango with the rest of the lime syrup. Preheat your oven to 180 degrees Celsius or 350 degrees F, and grease and line a 24cm (9") cake tin. Scoop the flesh out of the mangoes and slice thinly, then lay it in a pattern on the bottom of the lined cake tin. Using a stand mixer, beat the butter and sugar until light and creamy. Add the eggs one at a time, beating well after each one. Sift the flour and baking powder together into a bowl, then fold into the batter with the lime zest, lime juice and macadamias. Spoon the batter over the mangoes in the cake tin, smooth out evenly, then bake in the preheated oven for 45 minutes or until cooked through. While the cake is baking, put the lime juice and sugar for the syrup into a medium saucepan, and stir over low heat until the sugar dissolves. Increase the heat, bring the syrup to the boil, and simmer for ~ 8 minutes or until the syrup thickens slightly. Cool. When you take the cake out of the oven, immediately poke small holes in the top of it with a skewer, and pour 3/4 of the syrup over the top of the cake. Leave the cake stand for 10 minutes in its tin before unmolding. 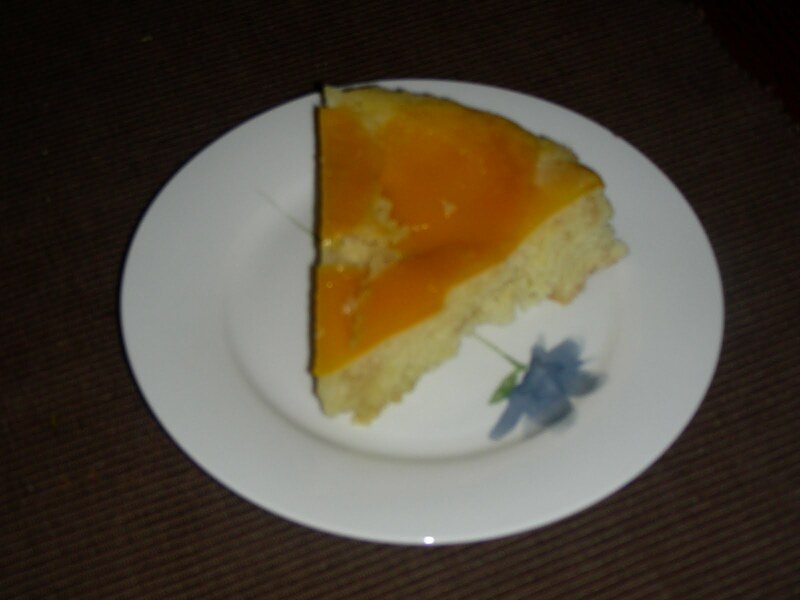 Brush the mango on top of the cake with the reserved syrup, then leave the cake to cool.on wire rack. I love the idea of the mango lime syrup (I love lime in anything). This looks outstanding. Great job. That is a beautiful cake! The macadamia nuts must give it a delicate bit of crunch. The macadamias add just enough crunch, not overpower the cake. Hi Becky, you and your Sous Chef did a great job on this cake - so glad you liked it, and pleased to "meet" you. and it's nice to meet you. My mouth is watering just by looking at this cake.This looks so delicious.I saw your blog from the foodie blog roll and I like what you have here.if you won't mind I'd love to guide Foodista readers to this post.Just add the foodista widget to the end of this post and it's all set, Thanks!